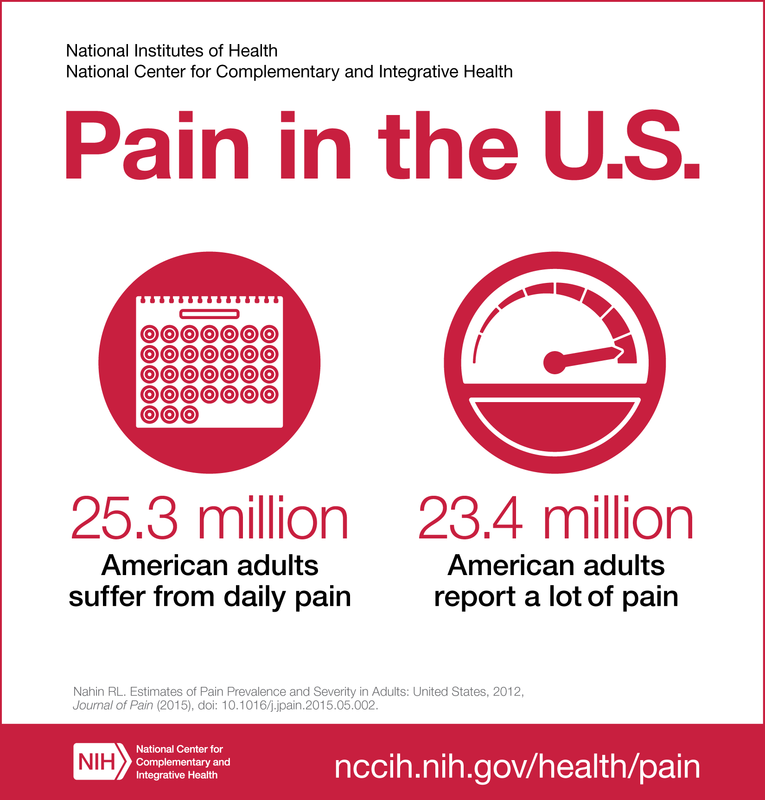 A new analysis of data from the 2012 National Health Interview Survey (NHIS) has found that most American adults have experienced some level of pain, from brief to more lasting (chronic) pain, and from relatively minor to more severe pain. The analysis helps to unravel the complexities of a Nation in pain. It found that an estimated 25.3 million adults (11.2 percent) experience chronic pain—that is, they had pain every day for the preceding 3 months. Nearly 40 million adults (17.6 percent) experience severe levels of pain. Those with severe pain are also likely to have worse health status. The analysis was funded by the National Institutes of Health’s National Center for Complementary and Integrative Health (NCCIH) and was published in The Journal of Pain. Read more about the report - Estimates of Pain Prevalence and Severity in Adults.